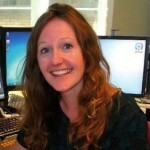 Jennifer Nelson is Executive Producer at Classic FM, where she produces film music show ‘Saturday Night at the Movies’. She has written a book to accompany the show, exploring 12 successful creative partnerships between film directors and composers, and is a Trustee of the Cambridge Film Trust. She has a love/hate relationship with popcorn.